A professional actor is among three people who pleaded guilty Tuesday to an extortion plot aimed at getting the former owner of a Brooklyn pizzeria to hand over nearly $200,000, authorities said. Douglas Singer, 54, Leroy Wilson, 47, and Marianne Wood, 61, pleaded guilty to an extortion conspiracy in which they posed as fake "mobsters" in order to intimidate the former business owner, the U.S. Attorney for the Eastern District of New York said in a press release. “The defendants carefully scripted an intimidation plot, even using an actor as muscle, all in an effort to extort the victim into giving them $198,000,” U.S Attorney Richard Donoghue said. The plot started after the unidentified victim sold Singer a pizzeria business in 2018 in a building the victim continued to own, the press release said. In November 2018, the three defendants met with the victim. Wood demanded the owner pay an organization handling Singer's business $198,000, alleging the costs were incurred through various expenses such as the price of the pizzeria, equipment and renovations, and alleged operating losses. She then brought out photos of the owner and his family and "explained that it would be in the best interest of everyone for the owner to pay up," according to the press release. Wilson, an actor who goes by Roy James Wilson professionally, was recruited to pose as a bodyguard. He "leaned forward toward the owner during the threatening conversation, revealing a pistol holstered at the hip," the release said. FBI agents who later searched Wilson's home found a black theatrical prop pistol and a leather jacket Wilson was seen wearing on the pizzeria's surveillance footage. The actor has played background law enforcement characters in shows such as "The Good Wife" and "Curb Your Enthusiasm," according to his IMDB page. 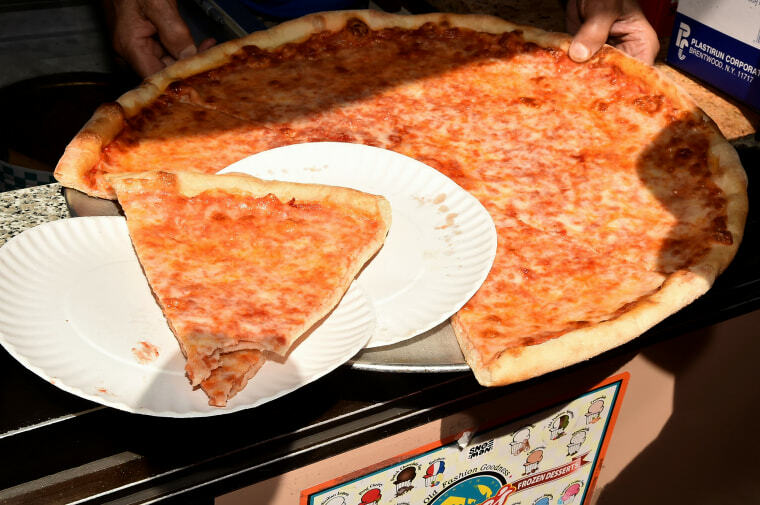 "A group of people doing their best to act like a group of mobsters, shaking down a pizzeria owner, will now face a steep price for what they described as ‘kinda fun,'” FBI Assistant Director-in-Charge William Sweeney said, adding that businesses owners shouldn't have to fear extortion plots threatening their livelihoods. Singer, Wood and Wilson each face up to 20 years in prison.